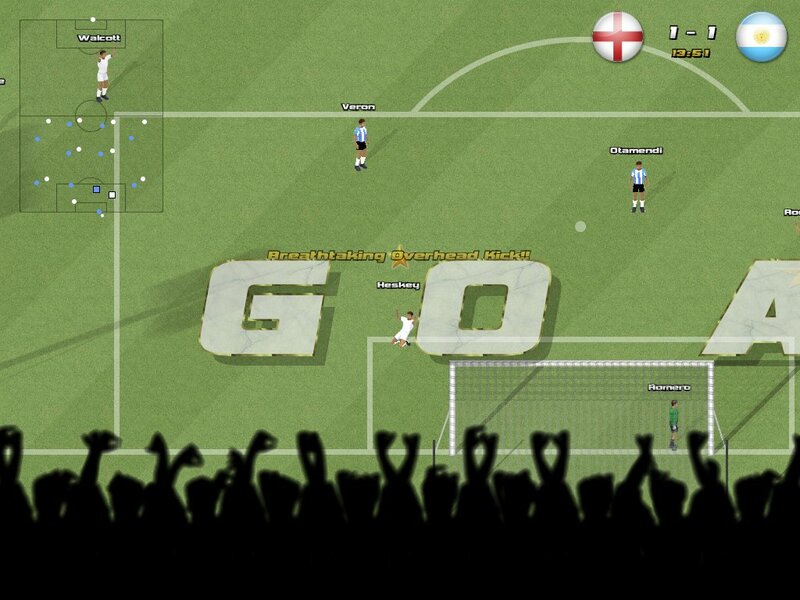 I'm pleased to announce that I've finished the latest version of Awesome Soccer - Awesome Soccer World 2010. 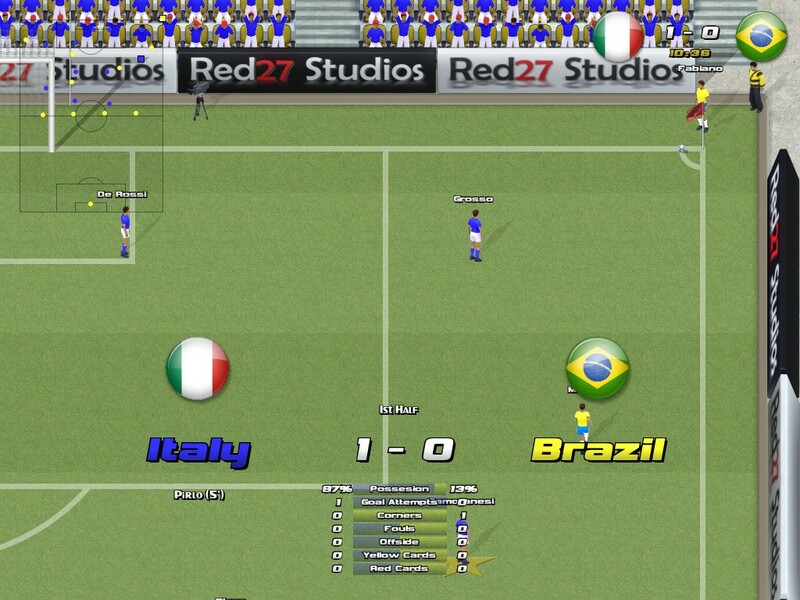 ASW210 is a fast action soccer game with 16 Tournaments to challenge for including World 2010. Score amazing swerving goals, overhead kicks and diving headers thanks to the intelligent - yet easy to use - control system. The game includes over 280 teams (and has a Team Editor to create your own or modify existing team badges, players names and skills). 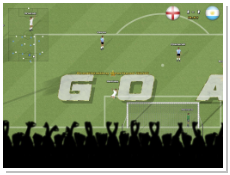 I am not a fan of soccer but your game is interestingly addictive. More power to you! The game has been getting some pretty good reviews - more kudos for Java Games! 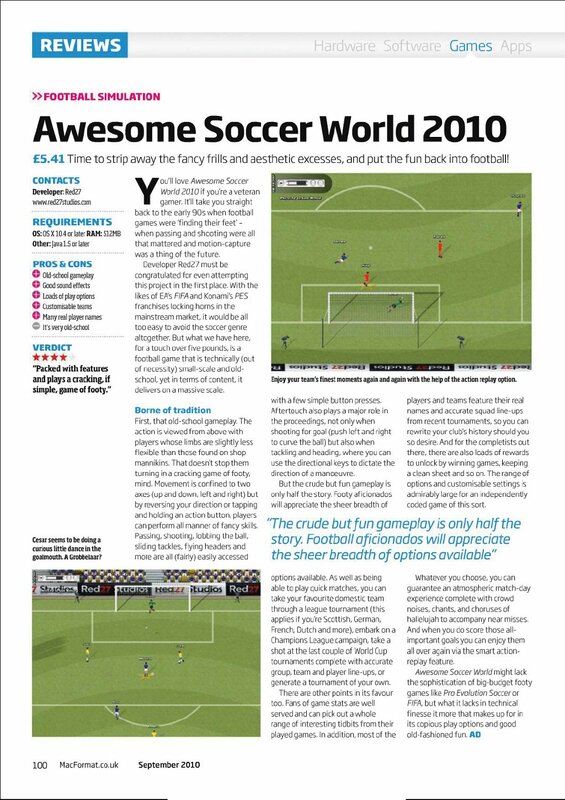 Ok...shameless plug...but I've just had the game reviewed in the September 2010 edition of Mac Format (I think it's the best selling Mac Magazine in the UK). They gave it a full page review and awarded the game a very respectable 4/5 stars! To use some football parlance....I'm over the moon! This IS a great football game, but it is rather buggy. At least the version on here. Mainly, the goalies are completely useless. 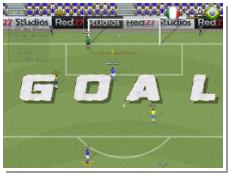 I must admit, I've only played on 2-star difficulty, but a ball in the air right over their heads always makes them jump to one side, which means an instant goal, even from the middle of the pitch. Passing the ball is impossible, because you can't pass the ball longer than 4 feet / 2 metres. For that, you have to use shoot (obviously using advanced controls). It says the extra key has an action called "Cross"...it still just passes the ball 2 metres in front of the guy no matter what I try. What am I missing? 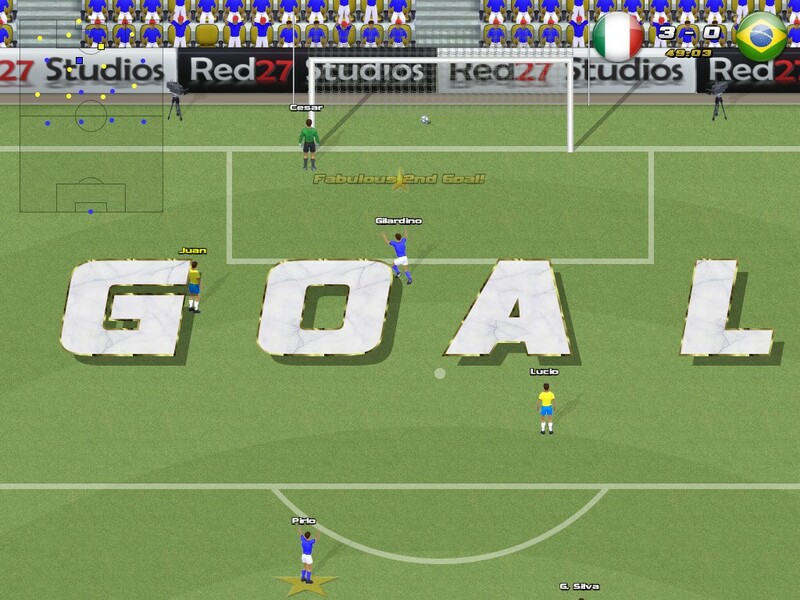 Thanks for the kind comments about ASW2010 being a good game - appreciated. Re: the keepers AI - I think you are right - it could be improved upon; it is dumbed down on 2 star skill level, but tweaks could be made to give them a more realistic showing in the scenario you mention. Re: passing - if you tap the pass key without a player being in that general direction, you simply knock the ball forward into space, enabling you to increase your running speed (good for running down wing etc). To pass accurately make sure you are facing at least a 90 degree or less arc from the player you intend to pass to and tap the key - it can be very effective if you get the hang of this. Re: crossing you have two options, either reverse your controller direction whilst dribbling the ball (need to tick the reverse to cross option at game setup) or using the advanced controller option, press and hold the cross button to produce the lofted cross at different strengths. Hope this helps and thanks again for the feedback and post. Well, now I've tried the 3-star difficulty, and I ran into a weird problem. 90% of the time I get to start with the ball, when I touch it off, I lose control of both of my attackers, and they run towards the opposing goal before one of them gets the ball. Also, one time I shot a goal kick, and the ball landed just outside the opposing goal-box, but I didn't get control of my attackers. I had to run up there with my left back before it changed. You should either make it change to the player closest to the ball at intervals, or give the player a key to change to the player closest to the ball. Using C to do an overhead kick when one of the opposing players is running along with it doesn't make much sense. 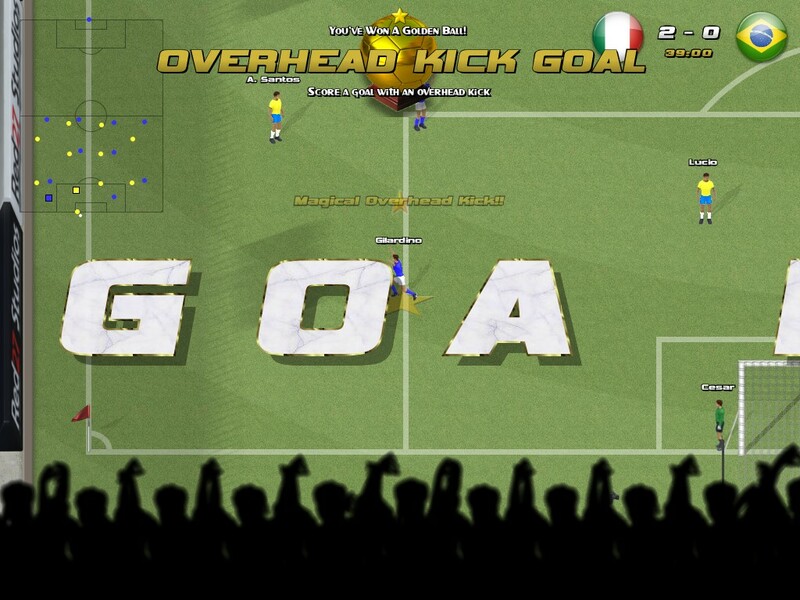 It should only be possible to do an overhead kick, when the ball is in the air. Also, while playing an exhibition match, and hitting Play Again the third time, something weird happened. When I held down shoot it took a little over half a second before the bar showed up, and then I saw that everything seemed to take a lot longer. The keepers would stand there with the ball in-hand or about to do a goal kick, and they'd just stand there for up to 5 seconds before I gained control of him, or the opposing goalie kicked the ball. Even when a yellow card was given there seemed to be a long lag between the free kick being called, the yellow card being shown etc.. Every step took longer. When you don't have possession of the ball, the current player that you are controlling is highlighted with a star. This star is a solid colour if you are in relatively close range to the ball. 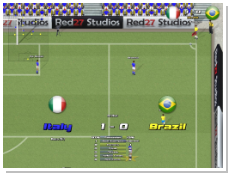 If the player being controlled is slightly further away from the ball, the player highlighting changes to become an outline of a star rather than a filled star - this indicates that you can manually switch to another player by pressing the action / shoot button - useful if the player you are controlling is further away or another player is simply in a better position. I tried to balance the automatic player switching AI in this way to allow the user more fine tuned control, but perhaps the tutorial and instruction text isn't explaining this well enough? Re: being able to overhead kick, you are correct - they can only be acheived when the ball is in the air, not on the ground. 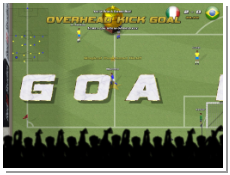 In addition, the game does try and use some common sense - eg if the ball is in the air but in front of you and you click the button it will perform a diving header, not overhead kicking. Are you not experiencing this? Re: the game slow down - are you using a Mac by any chance? I have seen this once before on a Mac Mini, but not on another platform, so I'd be keen to know what version you are using. I don't think I've ever successfully done a diving header, but I haven't actively gone for it, I must admit. I performed my first overhead kick while running after an opposing player who was running along with the ball. I had seen the star and understood its purpose. I just had trouble getting it to change players. I only have 8 minutes left of the demo, so I guess I won't be much use from now on I'm exceedingly poor ATM.